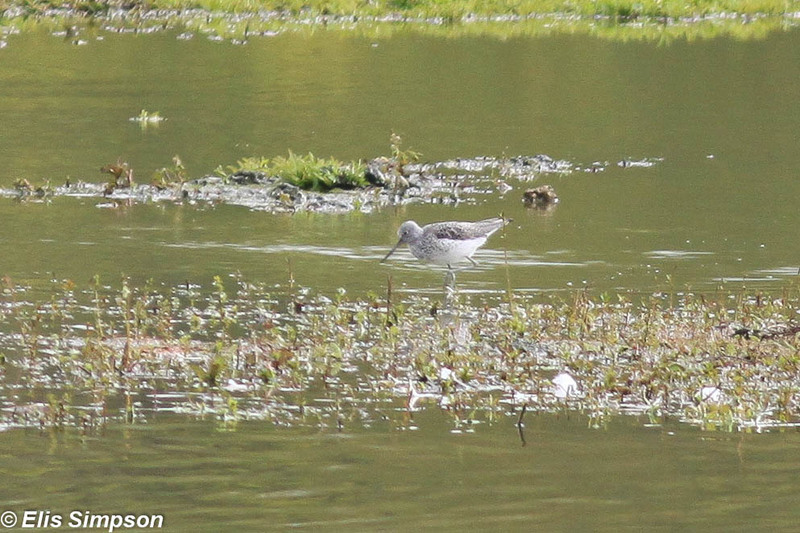 Rick Simpson Birding: Greenshank twitch. Elis and I were catching up with a little paperwork that was getting behind, the car was in for service, so we thought we'd be staying in the warm and dry today. 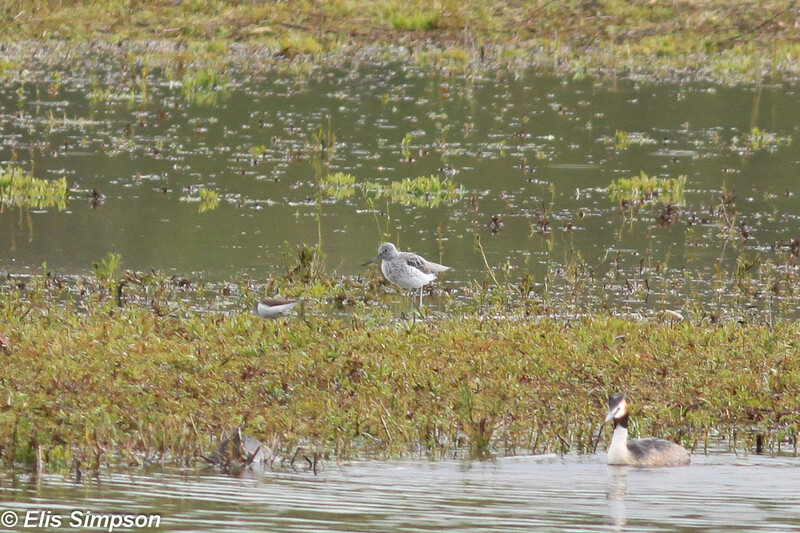 That was until the message from Simon alerted us to the presence of a Bar-tailed Godwit at HESC. 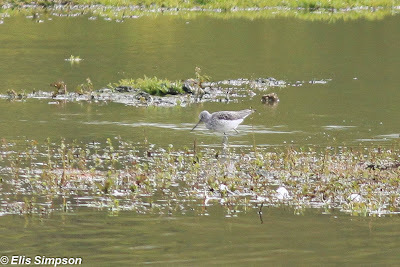 Scrounging a lift from my father we sped to the site, but a message received en route declared that the birds was in fact a Common Greenshank. Undeterred, (we haven't seen one this year and it is a wader after all) we carried on. 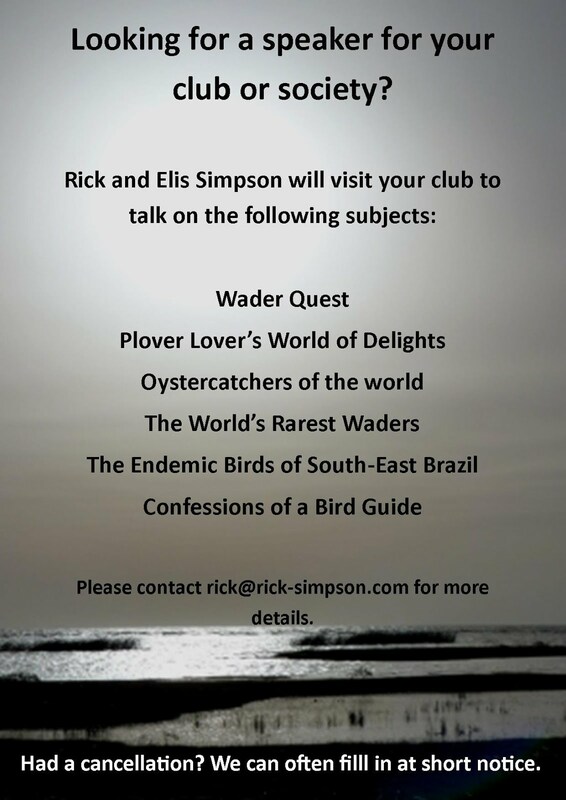 On arrival we met local birder Rob Norris and passed Simon Nicholls who was just leaving the site having re-identified the bird. The bird was in summer plumage and feeding on the bund, it showed reasonbly well although it didn't come very close. Other waders there were Eurasian Oystercatcher, Common Sandpiper, Little Ringed Plover and Northern Lapwing. and Great Crested Grebe (front right). There were some other migrants seen and heard too, Yellow Wagtail was on the bund and both Sedge and Reed Warblers were singing as was a resident Cetti's Warbler and the usual Blackcap, Willow Warbler and Chiffchaff. Over the water there were several hirundines of all three common species and a Common Tern. As we left a Common Swift flew over the car park. 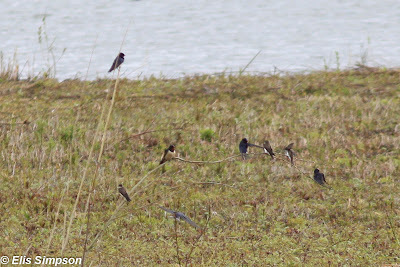 Swallows and Sand Martins resting on the bund.